Lately it seems we’ve had a lot of packages to send out to friends. 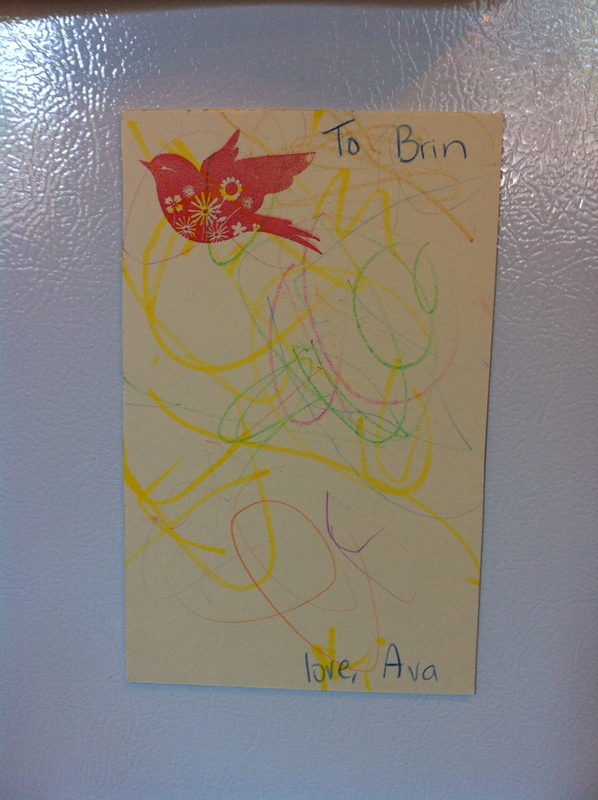 I usually include a homemade card or piece of art from our daughter and more often than not, we receive a picture of the artwork on a fridge. Our fridge also is full of artwork and pictures and we often run out of magnets! This got me thinking. Why not combine magnets with art and make it easier on everyone! I bought a few sheets of magnets at the dollar store ($1.25 each) and measured out some paper. 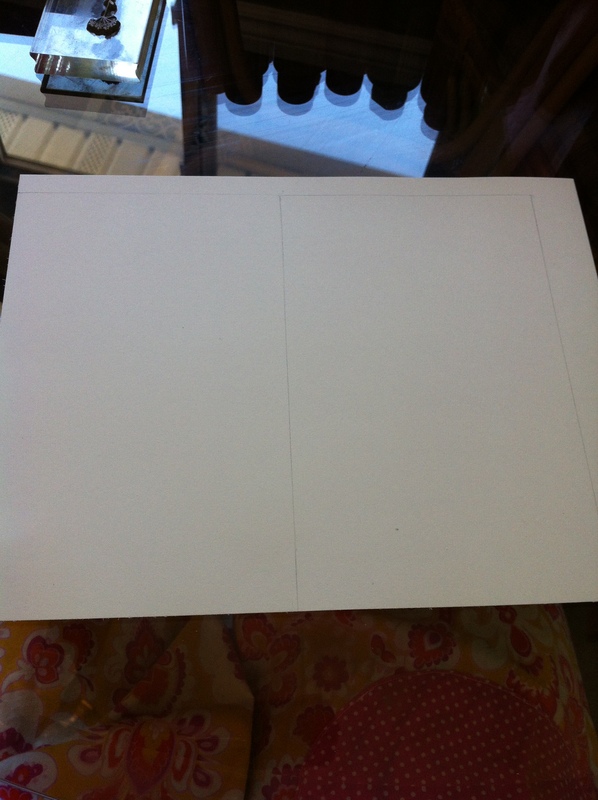 I then attached the measured paper to the magnet sheets (the sheets came with an adhesive backing). 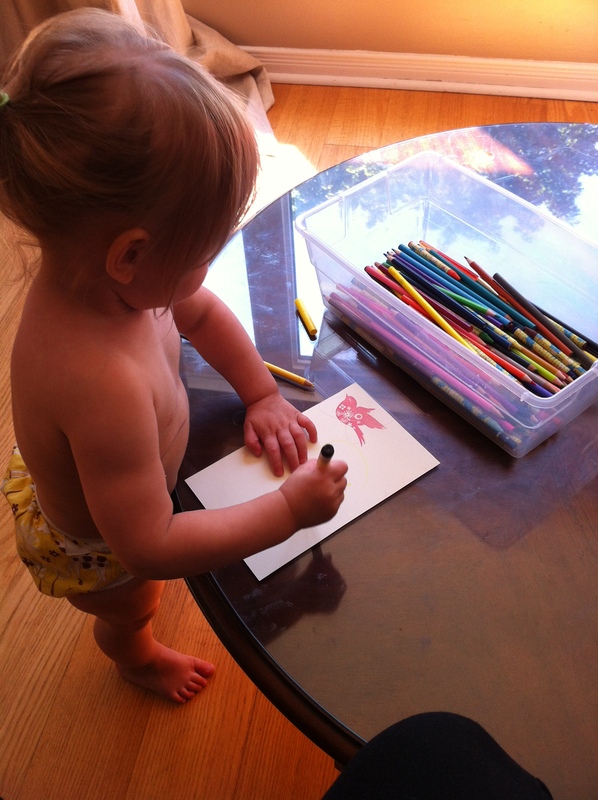 I stamped a pretty birdie on them and put them aside for the next time I would need to send out a package. After baby girl had gone nuts on them, I shipped them off with the packages! This can also be a great additive to invites or pictures your want to send out, simply cut the magnetic sheet down to size! In honour of 2 years! Thsts the cutest thing I’ve ever seen!